Chef cooks a meal for little mice! The moment you’ve been all waiting for has finally arrived… Yes, it’s the Winter Event! The opportunity for all mice to feast, to collect and to make presents. This year is placed under the sign of generosity. I hope that your bag is empty and that your back is ready to carry heavy loads because we are gonna sink you under a mountain of gifts! By the way… Someone told me that a malicious imp mixed all of your treats! In order to find all the gifts, you will have to collect all the presents, and to trade them to Baba bot in village. Watch Out! You are in a darknight house but there a sprite in all gifts try to found it! Speaking of gifts… We have a surprise that will happen during the Winter Event and will stay afterwards! We all know how tough a mouse life can be: spending a lot of time and energy gathering cheese, competing in crazy races and even surviving to cannon balls… What a life! After a long and hard working day, close your eyes… And let the dream begin! 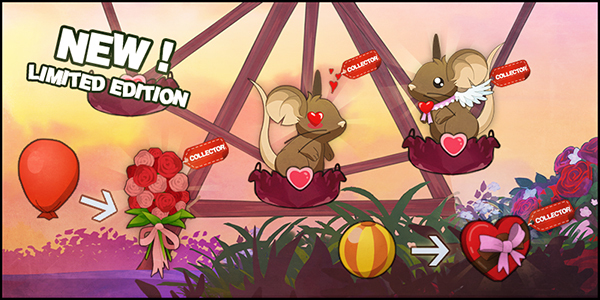 After some situations, we realized that our transformice game has a fake Facebook page. (Originally this Facebook page belonged to our ex-admin.) However, don’t believe anything they say. That Facebook page might want to steal your account. Don’t share your password with anyone. Son yaşanan olaylardan sonra fark ettik ki, transformice oyunumuzun sahte bir Facebook sayfası açılmış. (Aslında bu sayfa eski yönetici Tufan tarafından yönetiliyor.) Her neyse. Bu sayfada yazan hiçbir şeye inanmayınız. O sayfayı yöneten kişi, SuperMice hesabınızı çalmak istiyor olabilir. Şifrenizi asla paylaşmayın. As we were said, our newest HTML FORUM IS OVER HERE! From now on, you can have a talk with your friends!